It’s time for another one of our monthly newsletters. 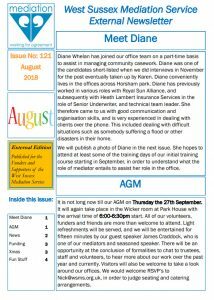 In this edition, there is an introduction to a new member of staff, Diane, a reminder of our AGM and various other news items. There is even a mention of Christmas – sorry folks! !